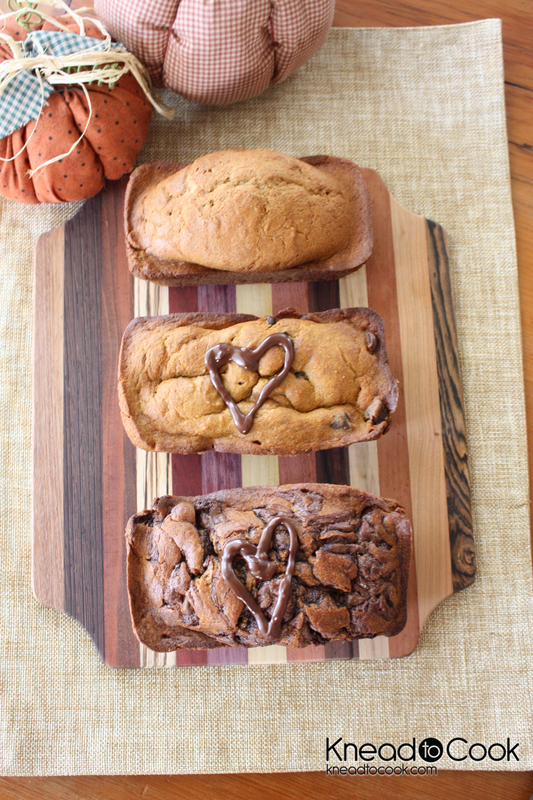 Pumpkin Chobani Bread. 3 different ways. Preheat your oven to 350 degrees. I made this recipe for mini loaf pans. Whatever you use – spray with nonstick baking spray and set aside. In your stand mixer, blend sugar and butter until fluffy. Add the eggs and vanilla. In a separate bowl whisk the flour, baking soda and salt together. Add to the butter mixture. Then add the pumpkin puree, Chobani, cinnamon and nutmeg. 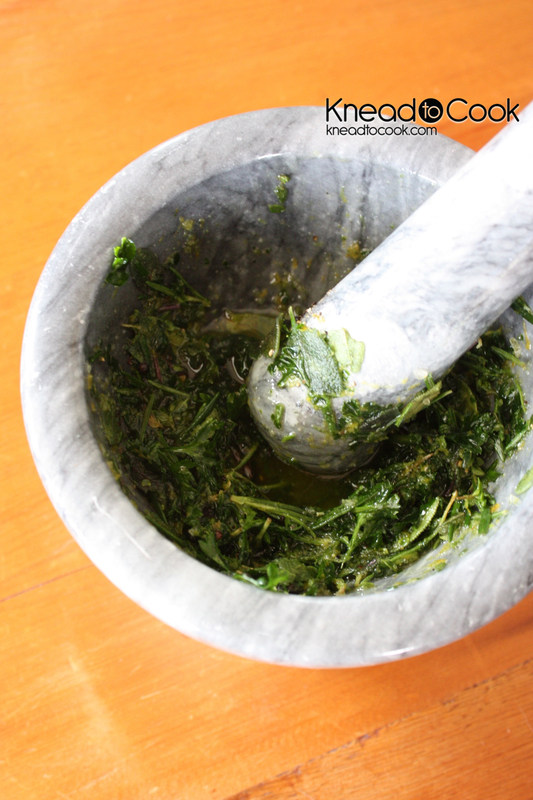 Blend well and scrape the sides down and mix again. For the Nutella version. I spooned about 1/2 of the well with batter and then add doll-ups of Nutella. Then top with more batter. Add more doll-ups of Nutella and then swirl with a toothpick. For the chocolate chip version. 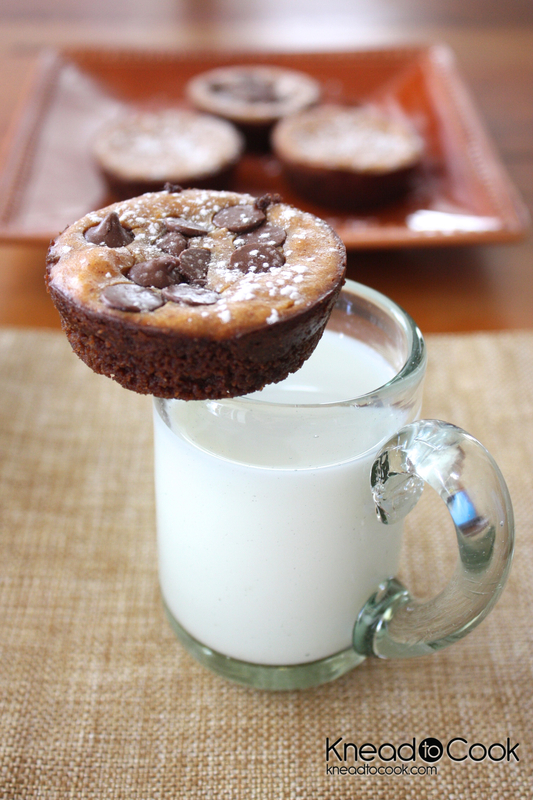 Pour 1/2 of the well with chocolate chips and then top with additional batter (fill 3/4 of the way filled). Add more chocolate chip and mix with a knife gently. For the plain version: Spoon the batter into the well 3/4 of the way filled. Bake for 40-45 minutes or until a toothpick inserted comes out clean. Let cool completely and slice and enjoy! You can also add nuts to the batter or top with nuts for a different version. Also works well for muffins or mini muffins too! 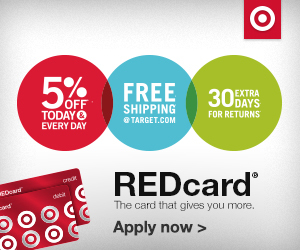 Make it your own & enjoy! Pumpkin Cheesecakes Bites with a Ginger Crust. I’m officially ready for fall. The kids go back to school next week and I’m seriously ready for fall weather, my favorite, a chill in the air, sweaters, jeans and PUMPKIN! 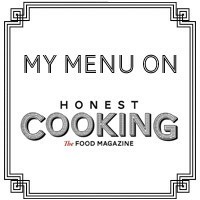 It is seriously one of my favorite things to cook with. Pumpkin is great for you too so it’s a double bonus in my eyes. Today I whipped up mini pumpkin cheesecake bites with a lovely ginger cookie crust. Everyone who has sampled these just adored them. 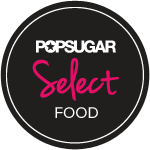 Great dessert item or after-school snack. 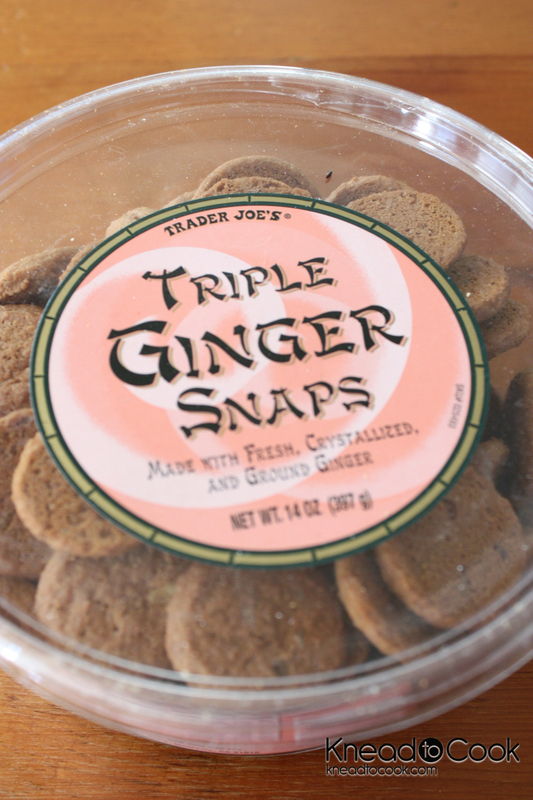 I used Triple Ginger Trader Joe’s cookies (but any gingersnap cookie will do). These cookies are mini size and I used 40 of them. 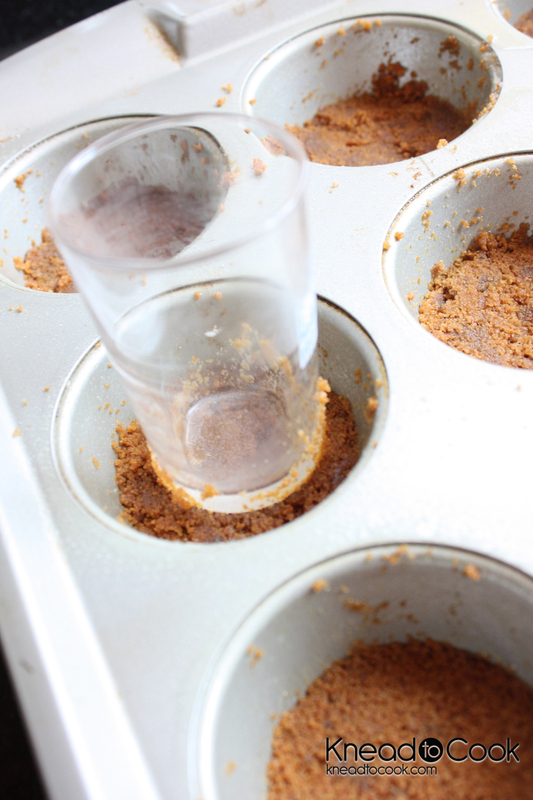 Preheat your oven to 350 degrees and spray your muffin pan with nonstick baking spray. Set aside. In your food processor, add the cookies and process until they resemble a fine powder. Add the butter and blend. It should be able to be pinched between two fingers at this point and be sticky. If not, add a tiny bit more of butter. Bake the crust for 10 minutes. Remove and set aside. In your stand mixer, paddle attached, blend the cream cheese and sugar until fluffy. Then add the egg, vanilla, cinnamon and nutmeg. Scrap down the sides and blend again. Add the pumpkin and blend again. Spoon on top of each crust. Again, this was about a tablespoon amount. Smooth out evenly. I did top some of the cheesecakes with a few chocolate chips (optional). Bake for 25 minutes. Remove and let cool completely before removing. Store in a tupperware container in the refrigerator. Oh Manchego cheese is one of my very favorites!! I picked up a large slice of it today and just knew I had some fresh tomatoes at home… viola! This recipe is super easy. Broil up some sliced baguette pieces (drizzled with a bit of olive oil) until nicely toasted and golden brown on both sides. 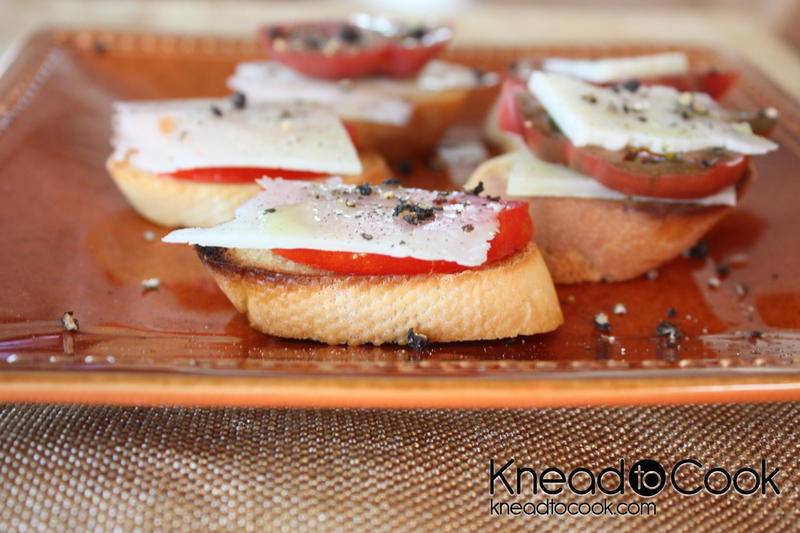 Then top with thinly sliced tomatoes (sprinkled with a tiny bit of salt) and top with a thin slice of Manchego cheese. Crack some fresh pepper over top, drizzle with a bit of olive oil and serve. Great appetizer! Kiwi mojito… so refreshing, so good! Perfect for a summer evening. Not much else to say on the subject but yum. 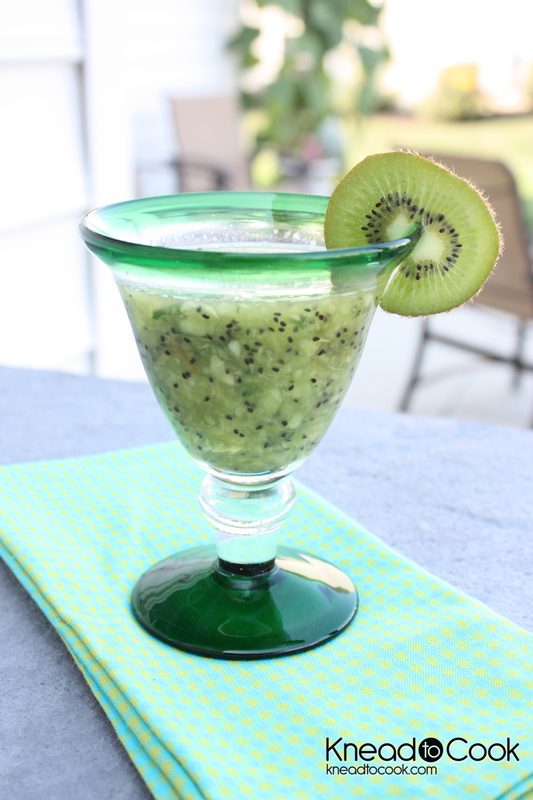 In a small food processor or with a hand immersion blender, blend the kiwi and agave syrup. In a cocktail shaker, muddle the mint leaves. Then add the rum and ice cubes along with the kiwi mixture. Shake vigorously. Pour into your glass. Enjoy! King Arthur’s 00 Italian Pizza Crust. Today my friends at King Arthur’s sent me a big box filled with gorgeous flours to try. It was perfect… my daughter has been begging me to make my Mexican pizza and I thought I would try a taco pizza instead. I dove right in and this crust is beyond fabulous. American flour is all about its gluten: it’s ready for action, headed for the highest rise. This version of Italian 00 flour, on the other hand, mirrors the warm, laid-back climate of its native land. Its protein is not only lower, but much more mellow. 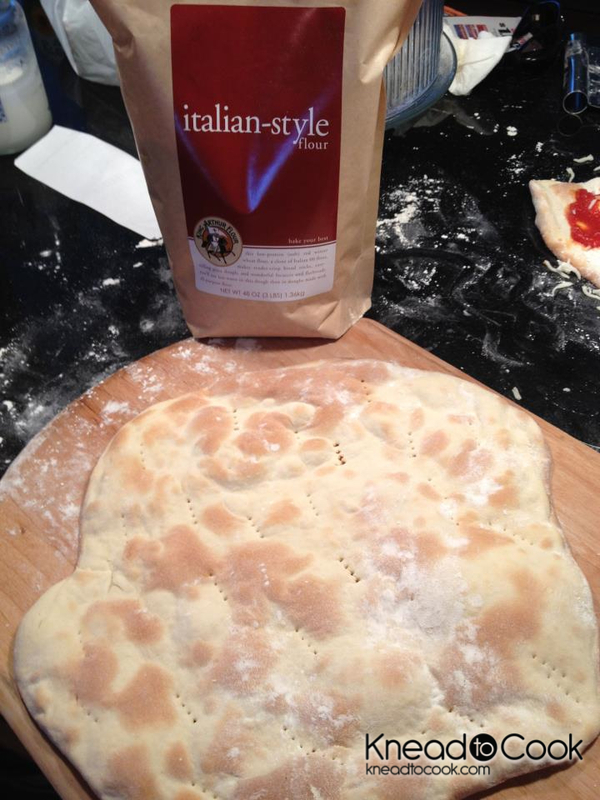 Make pizza or flatbread with this flour; you’ve never worked with such friendly dough! It’s incredibly extensible, practically flowing under your hands as you pat it into shape. And the resulting bread or crust? 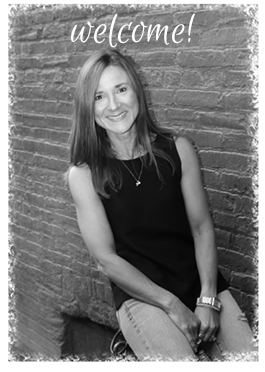 Light as air, tender, snapping crisp or soft as a cloud. So here is the old 00 pizza recipe that I had on hand. Tried and true… oh so good too. We have NO leftovers remaining. Positive sign that it was enjoyed by my family. In your measuring cup combine the yeast, sugar and warm water. Let sit on the counter for 10 minutes until frothy. If it fails to get frothy, throw out and start over with fresh yeast. If the yeast isn’t active, it won’t froth up for you. Once 10 minutes is over, add the mixture to your stand mixer bowl, dough hook attached, and add the salt and olive oil. Blend for 30 seconds. Then in 1 cup portions, add the flour. Blend well after each cup added. Once everything is in the mixing bowl, turn the speed up to medium and blend. If the dough is too dry, add a few drops of water. Too wet, add a tiny bit of flour. Keep kneading for about 7-8 minutes. 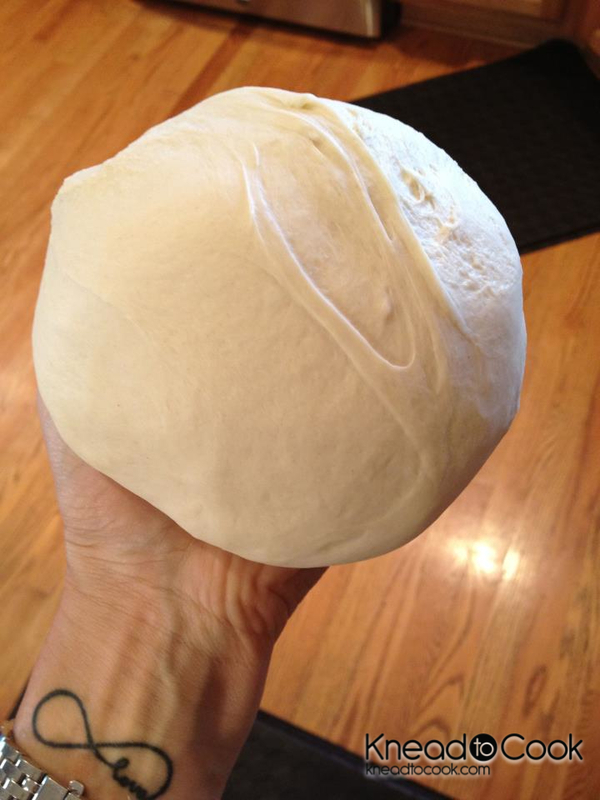 The dough should form a large ball onto the dough hook and clean the sides of your bowl. Remove and add the dough to a clean and oiled bowl. Cover with a towel and set in a warm, draft-free location (I usually place it in my microwave). Let rise for 1 hour. Preheat your oven at this point at 475 degrees with your pizza stone. To achieve a nice crusty pizza dough, let it preheat for one hour. After one hour, remove, divide into 2 (for large pizzas) or 4 (for smaller, personalized size) balls. Flour your surface well and roll out the dough to the desired shape. Prick with a fork all over to avoid bubbles from forming. Place on your pizza stone and pre-cook for 5-7 minutes or just until lightly golden. Remove, top with your favorite sauce or pesto (I used that here) and other toppings and cheese. Return to the oven or outside grill (again 475 degrees) until cheese melts. Remove and slice. Enjoy! 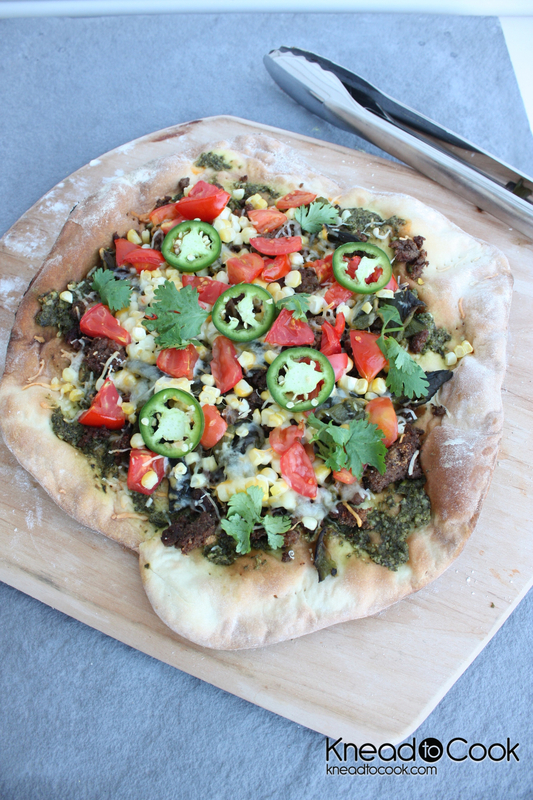 For my taco pizza, I used my pesto recipe for the sauce (find the recipe here) http://kneadtocook.com/?p=889. Then I added organic lean beef that was cooked throughout, sliced tomatoes, cheddar cheese, jalapeños and whatever else you enjoy on a taco pizza. 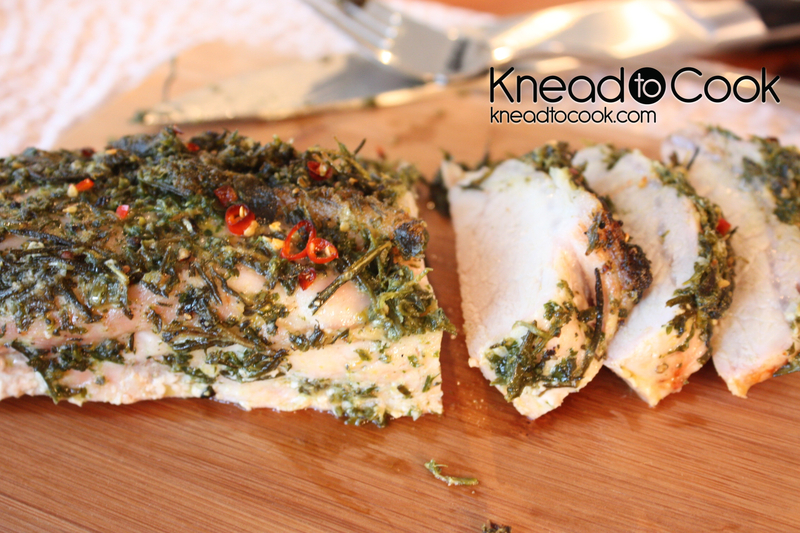 Once cooked, top with cilantro leaves. Tangerine, pink grapefruit & lemon martini. Refreshing & low cal. 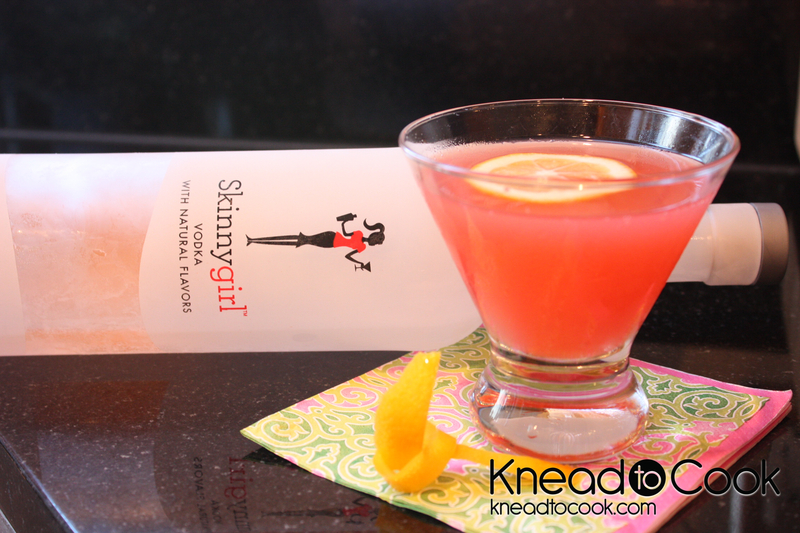 I’m not a fan of all of these sweet flavored vodkas but I did give this Skinny Girl tangerine a whirl. It’s very smooth and quite good. Place all of the ingredients in a cocktail shaker. Give it a good shake. Pour into a martini glass and enjoy! 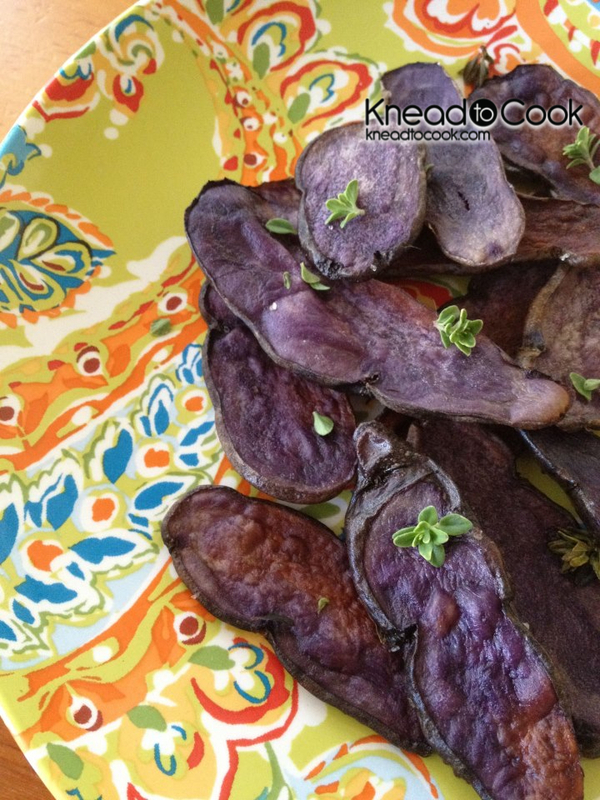 Baked lemon thyme purple potatoes. Today was one of those crazy busy days. Thankfully I went to the farmer’s market and picked up some gorgeous goodies. Purple fingerling potatoes are one of our favorites. 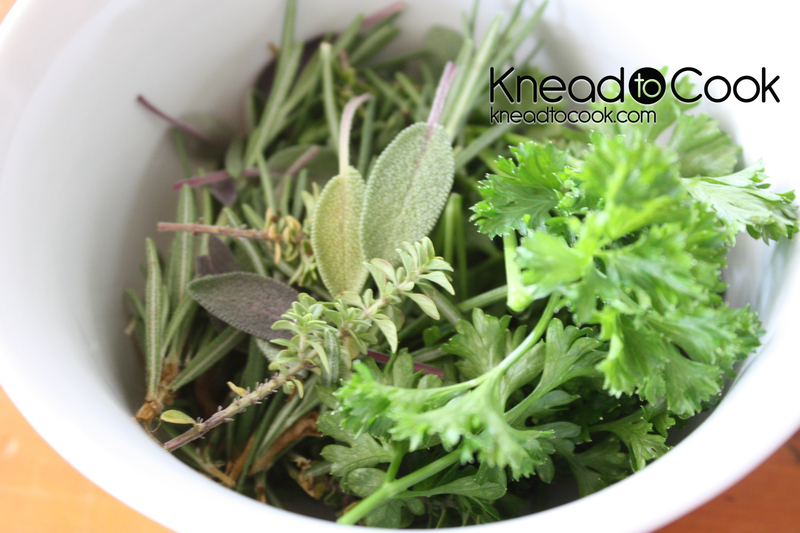 Today I wanted to bake them up with herbs from my garden and they are quite a tasty snack or side dish for dinner! Thyme, rosemary or whatever herb you like to use. Spray your cookie sheet with olive oil. Then lay out, in a single layer of potatoes that you will spray with olive oil. 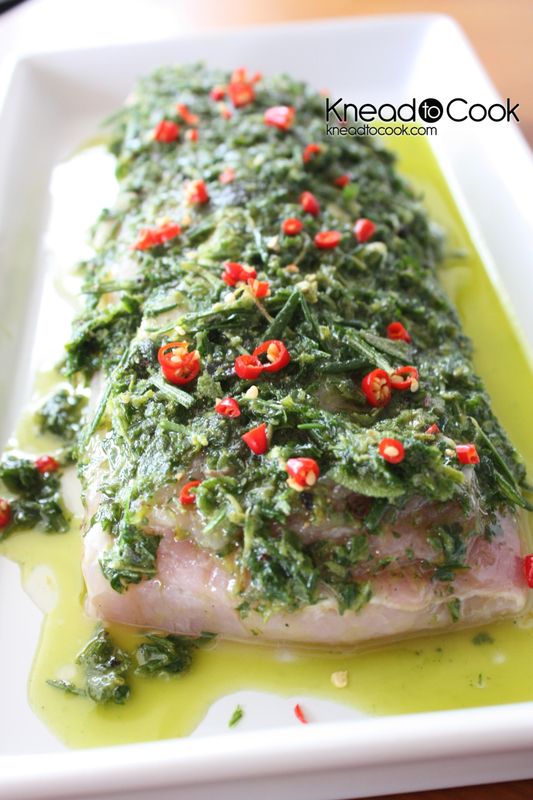 Top with sea salt and your herb of choice. Bake for 25-30 minutes or until the edges turn golden and start curling up. Set cookie sheet on a rack to cool and then serve and enjoy! Chobani Cake Batter Protein Smoothie. Monday. A reason to celebrate? Why not! 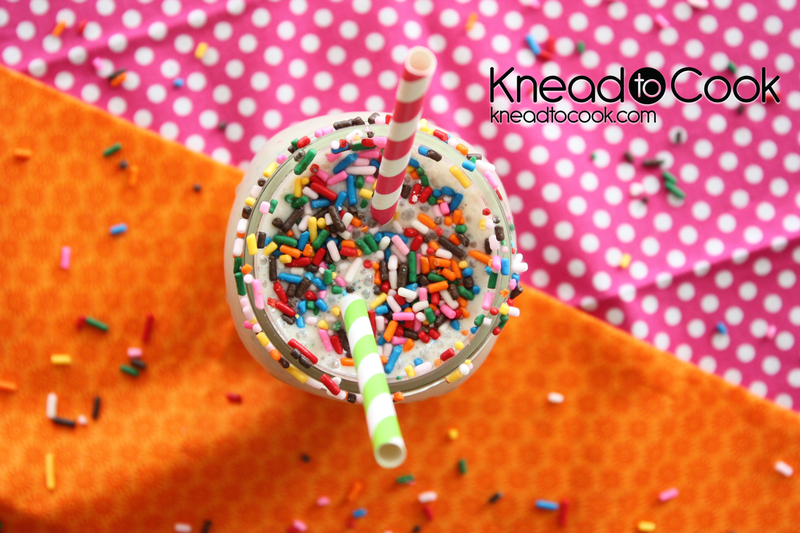 My daughter had a bang-up time with her trainer in the a.m. and I thought I would make her a fun, protein-packed recovery shake to make her smile. It worked! 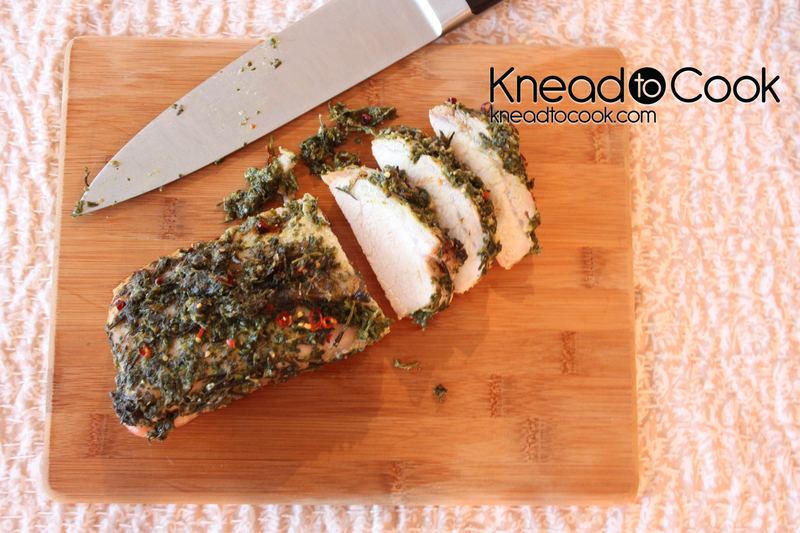 Garden herb rubbed pork tenderloin. After roaming around the garden today, I wanted to use a combination of all of our favorite herbs that we planted for dinner tonight. I have to say, this was the best pork I’ve ever eaten! Seriously, THAT good. I made the rub and let the pork “rest” in the fridge all afternoon. The herbs penetrated every single inch of the tenderloin and it was so incredibly juicy and flavorful. I now wish I made more! 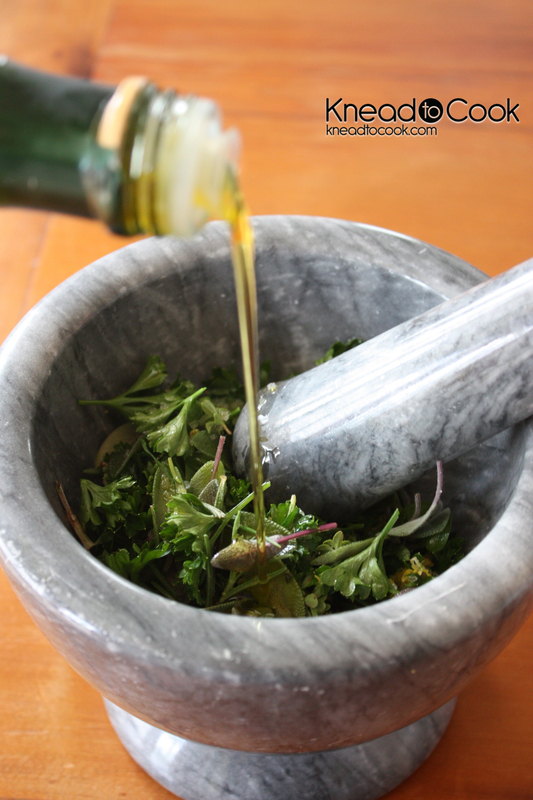 Rinse all of the herbs and add to a bowl or to you mortal and pestle set. Then start muddling the herbs/salt/zest. This will take about 2-3 minutes. Rinse your meat – pork, chicken, fish etc. And place on a platter. 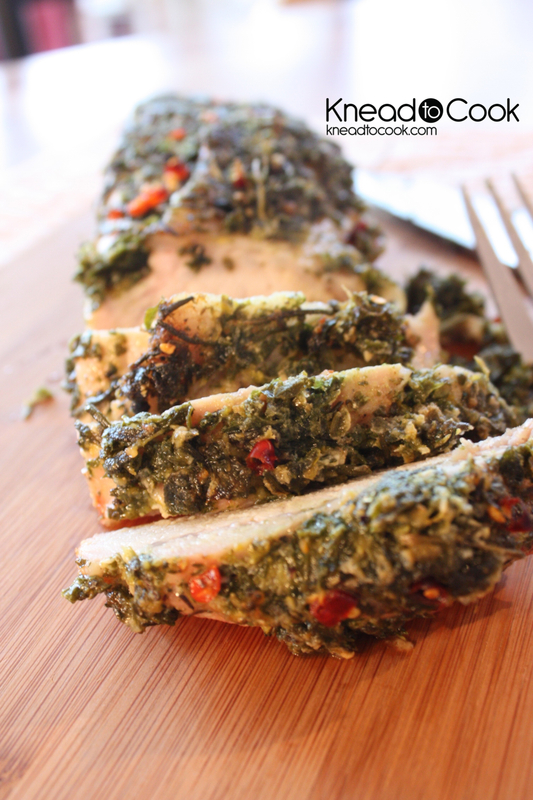 Spoon your herb mixture over the top (if using pork – have the fat side up) and coat to cover. I also topped with some very tiny, hot peppers, but this is preference. Add some pepper and cover. Let this rest in the fridge for at least 2-3 hours or more. Cook your meat according to the type. This pork I cooked at 375 degrees for about an hour. It is important to remove the meat from the fridge for about 10 minutes before you place it in the oven. Use a meat thermometer to ensure that the meat is fully cooked. Then cover and let rest for 10-12 minutes. This allows the juices to return to the meat and will yield a delectable, juicy dinner. 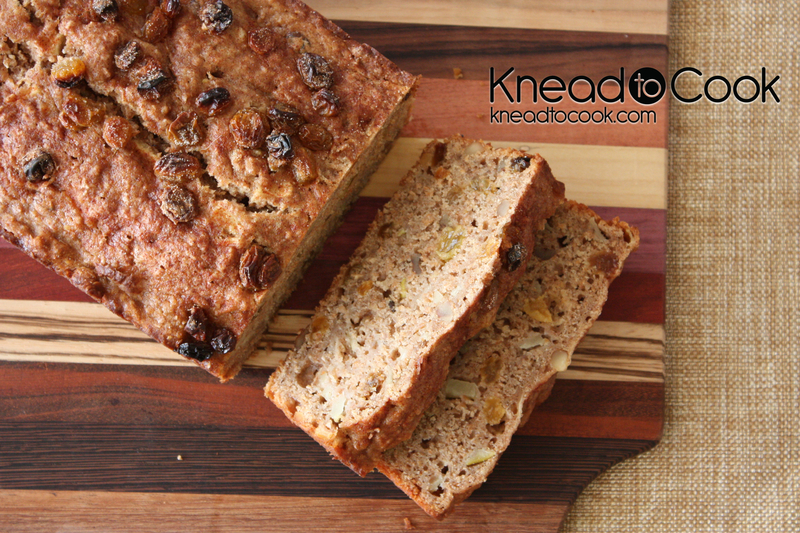 Pear Raisin Walnut Wheat Bran Bread. Fall is in the air and I’m happy. I love fall. The crispness of the air. The leaves turning fiery shades. Putting on a cozy sweater and curling up with a good book and a mug of my favorite tea. I also, have an affinity towards the foods we prepare for fall. Heartier. Substantial. The warmth of cinnamon strewn throughout delectable treats…. and of course the aroma that memories are made of. As my family is away this weekend, I thought I would whip up an old favorite recipe. 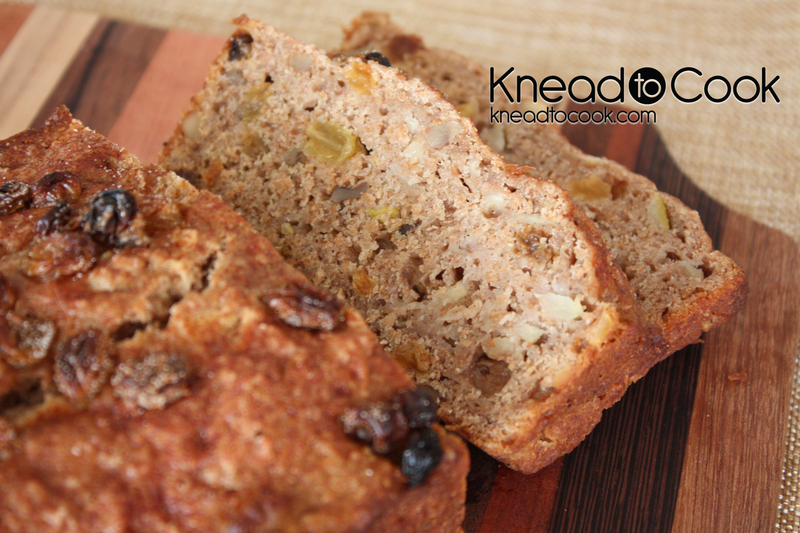 I don’t want the name of this bread to throw you, although quite healthy, it is so moist and delectable thanks to the applesauce and pears, that it will rival any other sweet treat in your kitchen. I love it toasted for breakfast or straight up for snack. Great to pack in school lunches too. Topping: I sprinkled more golden raisins and cinnamon sugar mixture on the top sparingly. Preheat your oven to 350 degrees with the rack in the center of the oven. Spray your loaf pan with nonstick floured baking spray. Set aside. In your stand mixer, paddle attachment on, add the egg, applesauce, butter and sugars. Blend well. In a separate bowl, sift the flour and then add the wheat bran, flax seed meal, baking powder, salt, baking soda, apple pie spice or nutmeg and cinnamon. Blend well. Then add to the wet mixture. Blend together. Then add the pears, raisins and walnuts and fold in by hand. Pour into your prepared pan. I did add a few additional raisins and a sprinkling of cinnamon sugar mixture on top and then baked for 45-50 minutes or until a toothpick inserted comes out clean. Let cool completely before removing and slicing. Enjoy!